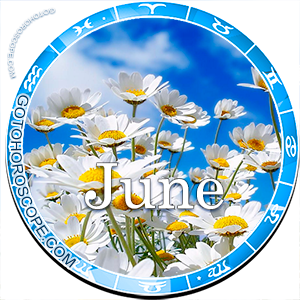 June 2016 Horoscope Aries, free Monthly Horoscope for June 2016 and Aries Astrology Forecast for the month ahead. 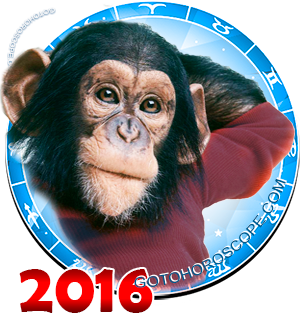 The zodiac sign Aries in June of 2016 will go through a rough patch, for a fact. But it would be wrong to say that the first month of summer will be an extremely negative time for Aries, during which they can count on nothing good. Due to the activation of Venus, which in its normal position is responsible for the "expulsion" of the zodiac sign Aries, the risk of serious problems in the sphere of feelings and relationships with the people around you will be increased. With this being said, your working sphere will suffer from its influence too. You will simply stop getting along with your colleagues, partners, management and so on and so forth. At the same time, Mars, the planet-ruler of your sign, will also be strengthened by its general stellar position. The Red Warrior will have enough forces to neutralize half of the negative effects, but all the same the situation won't change fundamentally, so in order to achieve the desired results you will have to work really hard. Fortunately, the Sun, your traditional exaltation, will retain its status and will supply you with a sufficient amount of vital energy throughout the entire month. Speaking in more detail about the scope of work, in June of 2016 Aries will have to significantly increase the magnitude of their productivity. Things will differ here depending on whether you run your own business or work for someone else. When it comes to your business, you need to seriously review the technical side of the issue, that is, you should focus all your efforts on the problems related to your supply mechanisms, and some purely mechanical points that have nothing to do with people. Refrain from dealing with your human resources now; even with good intentions in mind you won't be able to objectively assess the situation in this respect. Do not even think about going on vacation or taking a break, even a small one! Your presence now is crucial; otherwise, you just won't have enough time to deal with the avalanche of problems that will await you. For those who do not have their own business, the stars recommend channeling your initiative into some marginal projects. This means that your main task now, roughly speaking, should no longer be your primary one, at least during this stage. You should easily be able to deal with all insignificant moments, but not with the key project, the implementation of which will require procrastination, as they say, to the last moment. These tactics are similar to those used in mathematics and known as "lazy calculations", these are calculations made only at the moment when they are objectively necessary. 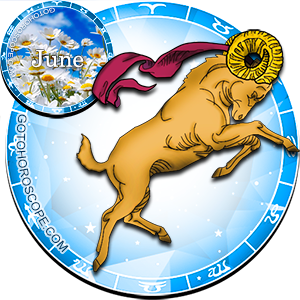 "Love life" in June of 2016 will bring Aries significantly fewer problems than the working sphere. Here, you will not have to work yourself to the bone to achieve the desired goals. Partially it will be due to the fact that your goals and objectives will be a little less ambitious and large-scale, thus resolving them will be much easier. At the same time don't think that after a hard day at work you will feel like a king at home, where everyone will strive to serve you. You are not the only one at this time who will go through a lot, so be careful with your words and even more cautious with your actions. In reality, the first month of summer won't be as terrible as it may seem at first glance. You'll just have to try really hard to stay on board your own ship. On the other hand, perhaps such a shake-up will do you good. You will come to realize that the world is diverse and complex and you are only a human being who is, meanwhile, capable of drastically changing any circumstances, occasionally to your own advantage. Be wise and consistent in your actions, and more importantly, learn to be guided by the opinions of others, especially if these "others" are dear to you.